As we embark on a new year, we’re taking a moment to reflect on our successes of 2017. From reinventing spaces with the help of bright minds, to creating new memories with community members across Ontario, to meeting a significant recycling milestone – 2017 will be hard to beat! 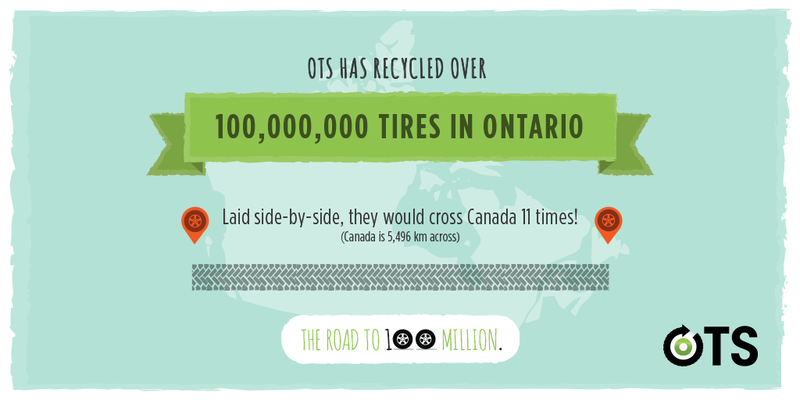 In April 2017, we were thrilled to announce that with the help of Ontarians and our industry partners, we recycled 100 million tires through our Used Tires Program. This incredible milestone was achieved in just eight years since the program’s inception in 2009, and it is through this program that Ontario has an extremely high provincial used tire diversion rate, responsibly recycling the scrap tires collected. With a new year comes new recycling goals – we are excited to see what target we can reach together in 2018! The life of a tire doesn’t end once it’s taken off the road. Tires can be transformed to create sustainable products designed for home, garden and community, including playground surfacing. Through our community revitalization programs, such as the Community Renewal Fund, more than $1 million dollars in grants have been awarded to support sustainable projects, with old tires finding their way into skating rinks, parking lots and neighbourhood playgrounds. 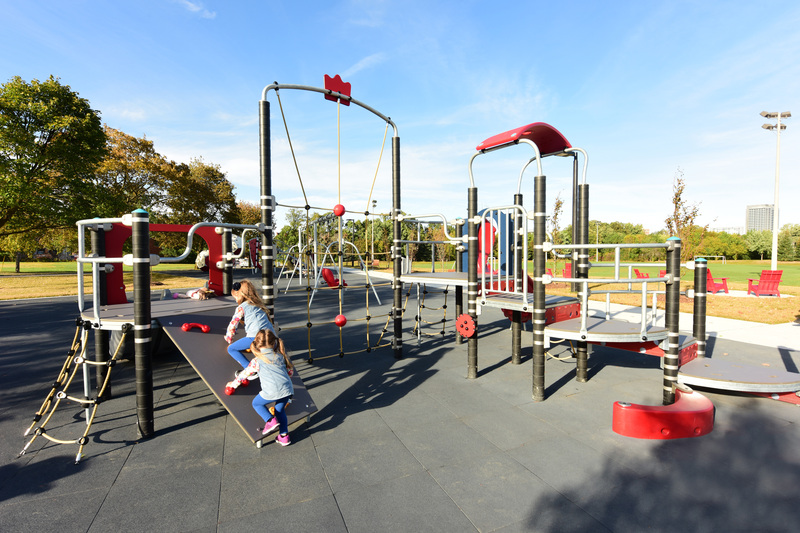 As of 2017, the CRF grants have helped a total of 60 communities across the province renew their spaces using sustainable materials made with recycled Ontario tire rubber. 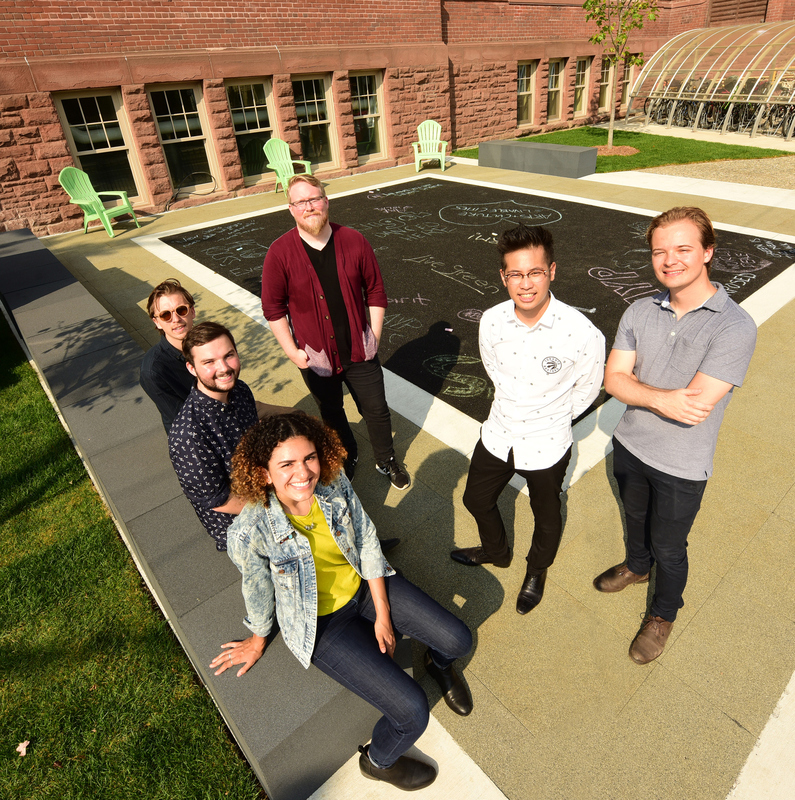 One of 2017’s most ambitious projects involved students from the University of Toronto Landscape Design and Sheridan College Industrial Design programs. 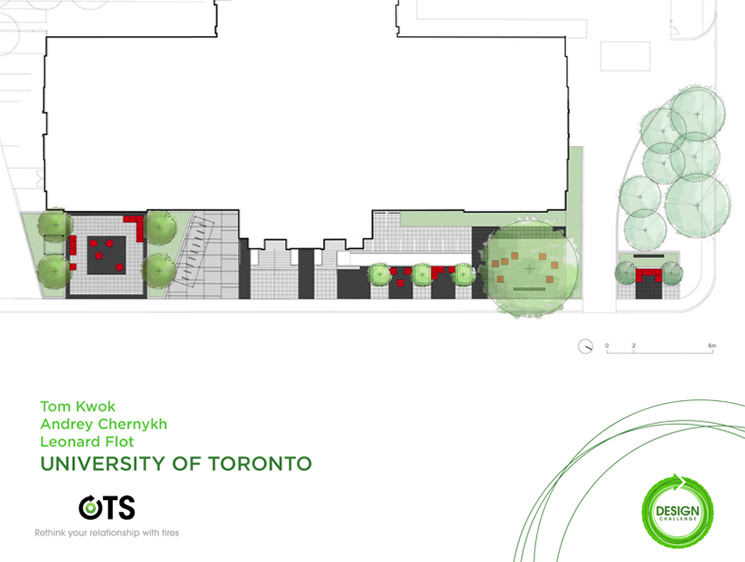 Challenged to reinvent the exterior of Toronto’s cultural hub, Artscape Youngplace, the students redesigned the outdoor community space using the equivalent of 854 recycled tires. Working tirelessly alongside industry professionals to develop inventive concepts using recycled rubber materials, the two winning teams brought their concepts to life for the community to enjoy. As we celebrate another year, OTS will continue to do its part to keep the circular economy rolling along. With the help of our fellow industry partners, we will work to meet our waste diversion goals and continue to recognize the innovation and positive environmental achievements and accomplishments of Ontario communities.